Box-Type: Super durable packing boxes with protective box bubble or packing peanuts keep your delicate items such as glassware and kitchen utensils safe. But if you are looking for the best boxes, Uboxes become your best shot. For fragile items, the sturdier corrugated cardboard boxes are best to pack your electronic items; television etc. However, wardrobe boxes are also available for your clothes. While for breakable items it’s best to use the multiple lined, double wall moving boxes with extra filling foam, to keep the glass, dishes and art pieces safe. Box Strength: Most moving boxes are tested for serviceability and durability by a test called Edge Crush test and the ECT of the box is written on the side of the box flap, which is advisable to check before buying. At Uboxes, we use and sell boxes tested for at least 200 pounds or 32 ECT; notwithstanding, there are cheaper versions also available for casual moving which is of great quality. Boxes for fragile items are also available as well as fragile stickers. Small Kits: best to pack books or other heavy items. Medium box: 18"x14"x12" are best to pack your kitchen utensils. Large box: 20"x20"x15" can be used to pack linen items. Extra large box: 23"x23"x16" packs bedding, toys, tall lamps and other bigger lightweight items. Kitchen box: 18"x18"x28" are used to pack your dish items, with a lot of packing paper to keep fragile items safe. Wardrobe box: 24"x24"x40" are multiple lined and extra wide with hanging bars for keeping your clothes pressed. Frame box: 30" X 40" X 4" or 40" X 60" 4" are used for shipping, packing large picture frames, delicate mirrors. 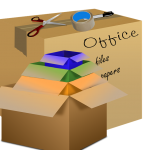 File boxes: 16" x 12.5" x 10" are good to pack your home office supplies. For safety purpose, its best to use boxes that are suited for manual handling, so choose the size to match the goods being packed inside it. Also, if you are kiting yourself, make sure that each moving box has safe lifting weight for whoever is going to move your goods. Think safety, think Uboxes. Purchase a box today. The best features of moving boxes are that these are recyclable and eco-friendly material, being made out of cardboard so you do not have to worry about adding to the trash, after the move. At Uboxes, we have good products that would definitely suit your taste. We have flexible deals that you could pick from. Uboxes, we will never let you pack alone! New Dorm Room Boxes At uBoxes!